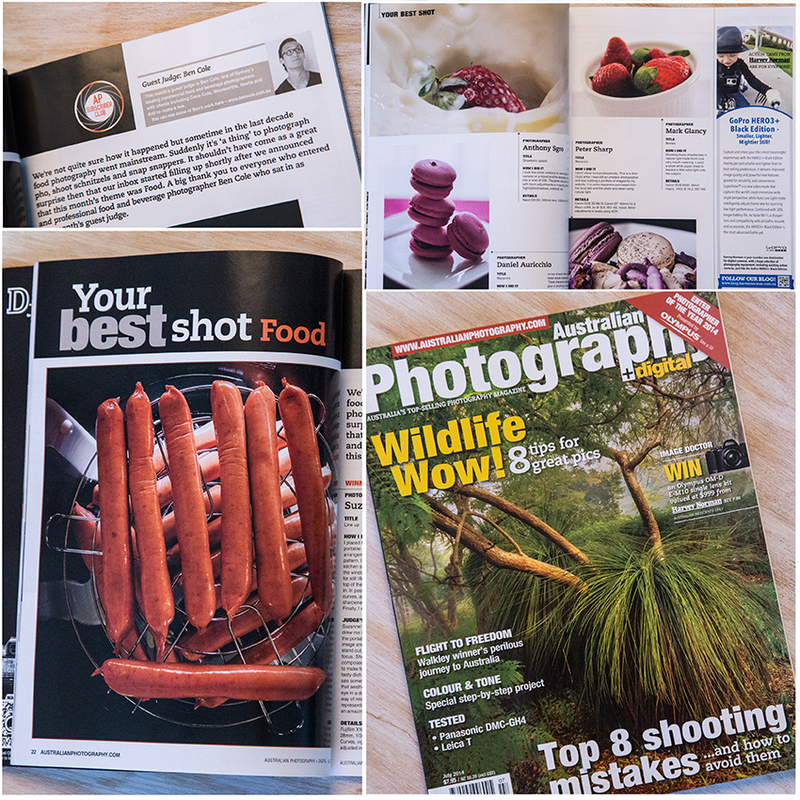 I recently had the pleasure of Judging “Your Best Shot, Food” for Australian Photography + Digital July 2014 Issue. I awarded Suzanne Opitz image “Line Up” as the overall winner Congrats Suzanne ! Suzanne’s pic took top honours as she explored food for more than the obvious. Her composition and execution were well thought giving her a great shot. Commended awards went to Paul Morton and Dana Carruther well done guys.